Better understand concentrated dispersions. Acorn Particle Analyzers utilizepatented nuclear magnetic resonance (NMR) technology to evaluate the wetted surfaces of concentrated dispersions with simplicity, speed and versatility. 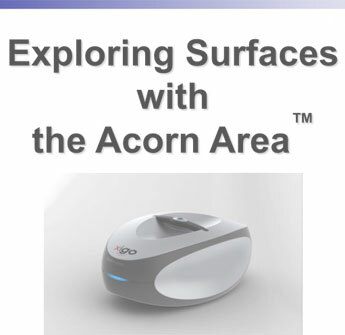 Scientists in pharmaceuticals, pigments, adhesives, electronics, and energy have found XiGo's Acorn Particle Analyzers invaluable to their quality control and research and development efforts. Video tutorials are currently available on our website; however, if you've missed them, have a question about what you watched, or if you just want to witness Dr. Fairhurst's erudition first hand, please join us and learn how Acorn particle analyzers can improve your products.